What Kind Of Veterinarians Can You Find On Kuddly? We’re often asked about the types of veterinarians pet owners can find and connect with on Kuddly. We have so many professional, experienced (and amazing!) veterinarians in our Kuddly community, it’s one of our favorite questions to answer. Kuddly has thousands of verified veterinarians practicing animal medicine across multiple specialities. You can find general wellness veterinarians, acupuncture, dermatology, surgeons, oncologists, and many others. They can help answer your questions about pet care of all kinds for animals of all types. Dogs, cats, birds, reptiles, you name it! Find out what kind of exercise your pet may need, or what may be causing a dull coat. While Kuddly isn’t intended to replace office visits with your local veterinarian, you can ask veterinarians around the world any questions you would like, as often as you’d like. All from the comfort and ease of your smart phone, anytime, anywhere. It can be great for a second opinion about treatments and other issues, to learn new ideas or gain information about pet care, or to find a new vet when you move or travel. 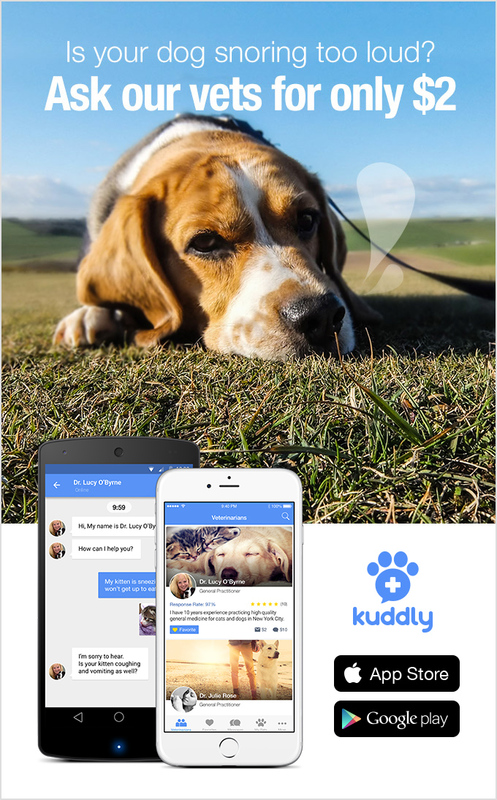 Veterinarians use Kuddly to connect with existing pet owners they help, as well as to help those who may be outside of their geographical location. You’ll find veterinarians in seven countries, from the United States, to Poland, Brazil, UK, Mexico and more. It’s all part of how we’re helping to bring world class pet care to everyone, everywhere! You can download and register for Kuddly for iPhone or Android. It’s easy!